Provide comfort for the family of Renee Harris with a meaningful gesture of sympathy. Our Beloved, Mother, Daughter and Sister, Renee Ann Harris went home to be with the Lord at her Mother’s Home in Norfolk, Virginia on Friday March 29, 2019. Renee was born on August 26,1968 to her parents Louis Harris and Carolyn Spillers Harris-Wallace at Cumberland Hospital in Brooklyn, New York. Growing up she attended Boys and Girls High School in Brooklyn, and SCS Tech in Jamaica, Queens. She later went on to work for Sam’s Club (Supervisor), Hardees (Cashier), IHOP Restaurant (Waitress) and her last Place of Employment was AJ’s Happy Shoppers (Store Clerk). During her time of employment she brought smiles and joy to the workplace with her sense of humor and she had many friendships that continued long beyond her time of employment. Renee had a unique sense of style and had to have her clothing color coordinated and neatly pressed. She passed that tradition down to her beloved Son. She loved to have a good time and often sought to make others smile with jokes, her own phrases and funny sayings. On her final day she prepared for her Son’s Birthday Party and brought him a gift, which she was able to give to him herself. That brings Peace and Comfort to all of us who mourn to know even on her last day on earth she thought of others first. She will be greatly missed. She is predeceased in death by her loving Grandmother Lena Belin, Her Sister Lisa Harris and her Aunt Cindy Spillers. Surviving to cherish her memory is her beloved Son Jamel Harris. Mother: Carolyn Harris-Wallace; Stepfather: Edward Wallace: Father: Louis Harris; Stepmother: Doris Stephens Harris; Sisters: Michelle (Devon) Swasey; Tamika (Lamar) Haley; Gabrielle Stewart; Tracey Barnes and Priscilla Steed; Brothers: Anthony(Dav-Vaughn) Harris; Kevin (Cynthia) Spillers; Christopher Stephens and Terrelle Spillers; Aunts: Mary(William) Baldwin; Hattie Day; Connie Fortune; Shirley (George) Hill; Cheryl (Wayne) Spillers and Cathy (Murdouck) Spillers. Uncles: Ronald Spillers and Andrew (Sharon) Belin. Thomas Moore, whom she considered to be her second father. 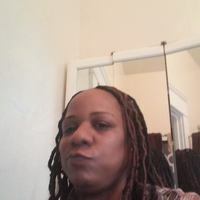 She had a special relationship with nephew Saquan Harris and Kevin Walker; nieces Shaquanna Patterson and Terriell Spillers; great-nephews Jermaine Walker; Saquan Harris Jr., and dear friends Bridgette Saunders and Lawrence Abrams. Along with a host of nieces, nephews, cousins, family and friends. A Homegoing Service will be held 12 pm Thursday, April 11, 2019 at Graves Funeral Home 1631 Church St, Norfolk, VA. Visitation will be held 1-6pm Wednesday, April 10, 2019. To send flowers in memory of Renee Ann Harris, please visit our Heartfelt Sympathies Store. Provide comfort for the family of Renee Ann Harris by sending flowers.